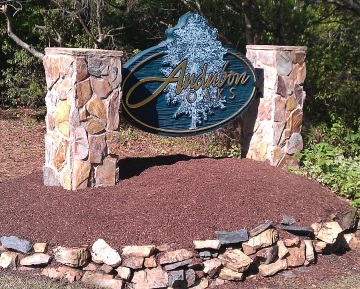 Audubon Oaks is a serene subdivision located in Irmo, SC. This community is located just off of Firetower Road off of I-26, at Exit 101A, making it easy to access virtually anything around you. Homes in this Irmo, SC neighborhood range from the mid $157,000 to $182,000. The houses in the Audubon Oaks Subdivision are traditional built homes that range in exterior style from brick to stucco and vinyl. Home sizes vary from 1700 square feet to a very spacious 2,200 square feet, with most homes having 3-4 bedrooms. However, there are several lofty 5 bedroom houses to be found in this neighborhood! Many houses also include upgrades such as walk-in closets, decks, and hardwood floors. Audubon Oaks currently has a homeowners association with the fees including the common area maintenance and access to a playground. Audubon Oaks is currently zoned for Lexington/Richland 5 Schools, which include the following schools: Ballentine Elementary, Cross Roads Middle, Dutch Fork Middle, and Dutch High School. In addition to award winning schools, Audubon Oaks subdivision in Irmo, SC is close to a variety in Shopping, Dining, and Recreation including the Ballentine Market, Irmo Village Shopping Center, and Columbia’s premier mall, the Columbiana Center. For those who love the outdoors, Lake Murray and Harbison State Forest are only a few minutes away. This neighborhood is located only 15 miles from downtown Columbia, South Carolina's beautiful State Capital. The Columbia Riverbanks Zoo is also just minutes away via I-26. The nearest hospital, Lexington Medical Center – Irmo, is 5 miles away. My name is Dena Mixon and I would love to be your IRMO, SC REALTOR! I am professionally trained and experienced to help home buyers and home sellers in the Midlands of South Carolina. I work very hard to help clients achieve their real estate goals. I can promise that I will always give you the care and best possible service that I can give! Whether you are selling, buying, or just have a questions, please call or text me at (803) 348-1155. EXIT Real Estate Consultants.